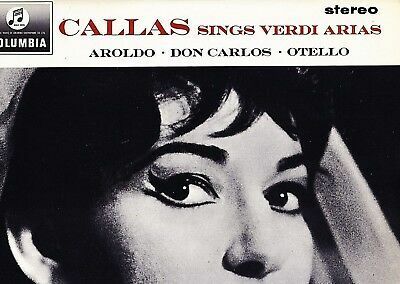 SAX 2550 S/C ED1 UK - MARIA CALLAS SINGS VERDI ARIAS - AROLDO, DON CARLO, OTELLO NM. WITH INSERT. (PLEASE HAVE A LOOK AT MY OTHER ITEMS). Full guarantee on my items - so in the unlikely evens of problems please first contact me before leaving feedback. PAYMENTS ARE EXPECTED 3 DAYS AFTER MY INVOICING. 0 gr - 2000 gr (up to ca. 6 LP's): Europe: $14.00, Outside Europe $ 24.00. ///////// 2-5 kg: (ca. 7 - ca 15 LP's): Europe $ 26.00; Outside Europe $ 48.00. (Rates in this description are leading - US customers please note: THE AUTOMATICALLY GENERATED $ 4.00 SHIPPING RATE IS NOT VALID. THE ITEM LOCTION IS HOLLAND, NOT THE USA). Tracking strictly advised. Non-tracking at buyers risk. Payments: PayPal - NO IMO'S OR CHEQUES. Sandor VEGH BACH Sonatas & Partitas VIOLIN 3 LP's BOX Set VALOIS CMB14 Rare NM!